ADT Fire & Security were specified by Suir Engineering to deliver an intelligent fire detection and alarm system as part of a £15 million development of the new Mater Private Hospital in Cork, Ireland. 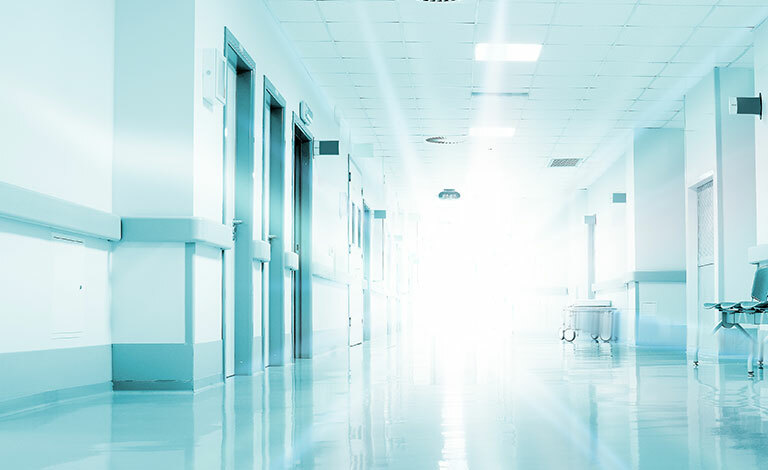 Due to the size and complexity of the facility, it was crucial that a reliable and robust system was in place to reduce the risk of false alarms and ensure the safety of staff, patients and their visitors. Officially opened on the 2nd January 2013, the Mater Private Hospital in Mahon, Cork is one of Ireland’s private hospitals offering day-case and inpatient services to patients in purpose built and state-of-the-art facilities. Part of the development involved the acquisition of Shanakiel Hospital, which lying to the north west of Cork City, was one of Ireland’s earliest private hospitals, established in 1918. As such, consultants and staff are in the process of transferring from one of Ireland’s oldest private hospitals to Ireland’s newest private hospital. From the outset of the hospital’s development, ADT Fire & Security worked closely with Suir Engineering to design and install a fire detection and alarm system that would meet the unique requirements of the facility. The result has seen ADT install 4 MZX fire control panels, 1 TGX Graphical User Interface 1 64 Zone Atheis Public Address Voice Alarm (PAVA) systems, 4 Vesda Aspirating smoke detection and a damper system to help prevent the spread of fire should one ever occur. David Myers, Regional Managing Director, UK South and Ireland for ADT Fire & Security commented: “Crucial to the successful implementation of the ADT system was the fact that our system offered dedicated modules to control and monitor the safe operation of the 280 site fire dampers. We were able to offer a bespoke solution to damper control, and provide automatic control of each and every damper in the building. So should a fire occur – our dampers close automatically to stop the spread of smoke gases and fumes into adjacent areas. Also being utilised on the site is ADT’s MZX digital addressable fire alarm system with state-of-the-art multi-sensor virtual detection. The cause and effect programming in conjunction with ADTs TSM 800 failsafe door control expertly isolates any fire by activating electronic fire doors to protect predetermined escape routes. Ensuring that, in the event that a fire occurs, all occupants of the building will be evacuated safely.